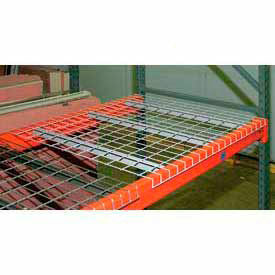 increases storage space and inventory access with high capacity pre-configured pallet racks! These storage racks assemble in minutes without tools. 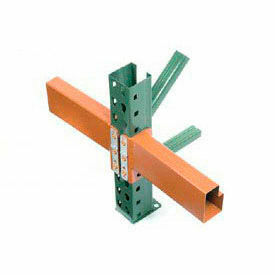 Units are constructed of high-strength steel and provide maximum space efficiency. 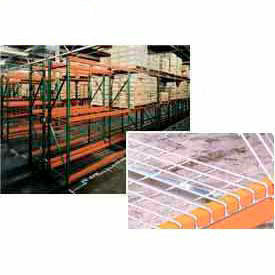 These warehouse racks have quality polyurethane corrosion resistant finishes on green uprights and orange pallet rack beams. Wire decks included. Interchangeable with Teardrop styles of the following manufacturers: Interlake (original style), Steel King, Husky, Rigu-Rack, USP, Speed Rack. Add-On Units include one upright frame and two beam pairs. Seismic sizes available; please inquire.